does anyone know weather this plays 45 or 33 rpm? Great collection of jazzy and atmospheric drum and bass music. And a huge steal for the price. A very under-rated collection of chilled, melodic and somewhat experimental drum & bass. At the time jungle was going through a major change and early 2 step tracks were being produced by those who weren't ragga junglists (Mr Small). This album was highly experimental and at the time risky. However as soon as my needle ran into the first cut on the first slab... 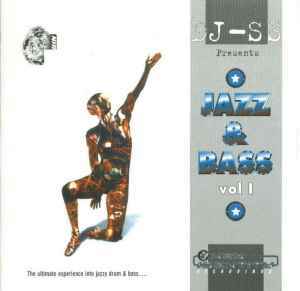 I remember hearing the live sound and clapping from John B's, Jazz Session Vol 1. Ramsay Lewis inspired sounds and an "Ahhhhhh" before the drums drop. The set paid for its self on this track alone but there are plenty more cuts that make it a worthy buy. There are a couple of confused tracks that should have been B-sides of singles but not worth dissecting. This is not a compilation of big event floor fillers, it suits the more student bohemian night in with friends, nodding heads, some mary j and clockwork orange on TV in the background... Perhaps.